If you’ve been following along on social media, you’ve probably noticed that I’m doing a little bit of an unexpected remodel around my house. 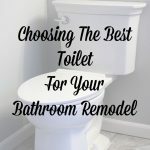 Through this process, I’ve learned a few things about how to survive this home disaster and find the silver lining in all of it. Don’t Panic. Take a deep breath and start thinking things through. When I came downstairs to discover my new indoor pool, my first thought was about the electronics that I had around and whether or not there could be any sort of electrical issues (I then realized that my dogs were walking around just fine in it and knew that the water was safe). I quickly found the source of the water and turned it off so that there was no more water being added to the pool. Call Insurance Immediately. Once the water was shut off and I realized that there was no way this would be cleaned up with a couple beach towels, I called Brad and told him to come home with a wet-vac and dehumidifier. I realized after the fact that I could have called insurance at this point and they would have sent somebody to mop up all the water. 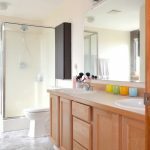 I could tell that our floors were going to need replacing so I called insurance and I’m glad that I didn’t wait any longer because much of the damage was invisible and really needed professional help. Keep Track of All Damage. Write down every single item that is damaged or tossed, no matter how small. Our insurance company took this list and added it to the claim (even for that little box of salt that was sitting on the floor of the pantry and got soaked). Take All the Help Insurance Offers. Once I got off the phone with insurance, they immediately sent out somebody from a remediation company to assess the damage. Not only did this company remove the damaged floors, set up fans, and remove the wet insulation; they also sent packers to pack everything from the downstairs and move it into a storage pod in our cul-de-sac. I wish I had pushed for them to give us a bigger pod because a lot of stuff did end up in our garage since it didn’t fit in the pod. Now that our remodel is pretty much done, this same company is going to come out and move everything back into the house. Take Time To Figure Out What You Want. You don’t need to replace your floors with the exact same product that was there before. 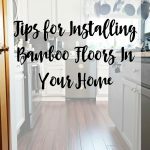 Brad and I originally installed the laminate flooring in 2010 (replacing hideous white carpet) but this time around we went another route and picked some gorgeous bamboo. It will take a couple weeks for the repair estimate to come through anyways so take this time to look at various options. If you are capable, do the repairs yourself. This tip does come with the caveat of “Only If You Are Able!” Brad and I are lucky that my dad is super helpful when it comes to home repairs so he helped us put our new floors down. By doing the repairs ourselves, I was able to use some of the repair cost towards more expensive products. Know That Repairs Will Take A While & Embrace The Mess. Our “flood” occurred just under a month away from my 30th birthday party. Originally, I had all these plans that everything would be done prior to my party and we could then use the party to show it off. Yeah, I laugh at that now. We didn’t even START laying floors until the day of my party. 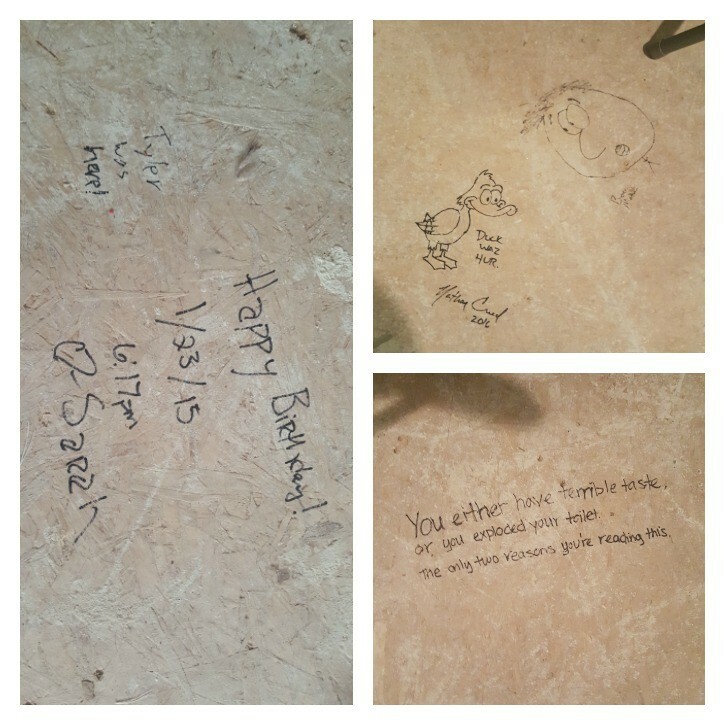 We did have a little bit of fun with this; during my party, some of my friends came over and wrote on our subfloor. I really hope that I never see these images again. We are ALMOST complete with repairs and I will be showing off the results of our unexpected remodel over the next couple months. I hope that you never need to know these tips; however, if you do, I hope that they are helpful for you. Great tips! We get water in our basement from time to time, but thankfully not drastic! I’m also glad that your repairs are almost done. 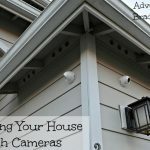 Hopefully you won’t have to use these tips yourself again! Thank you so much for the tips! 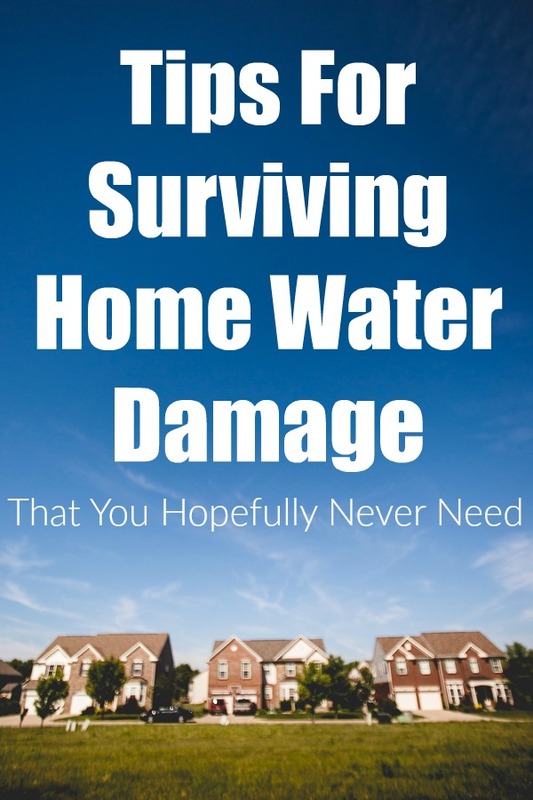 One thing that worries me about owning a home is water damage because so much can happen with that kind of damage! Ha I love your friend’s notes! That’s at least something a little funny despite the circumstances!